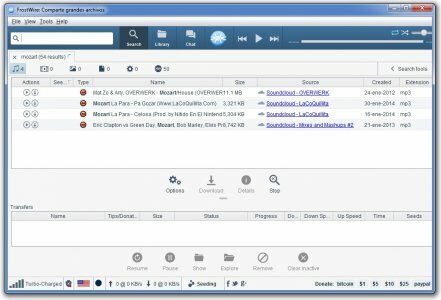 FrostWire is a new revision of LimeWire project which is becoming more and more famous due to its good performance ratings. 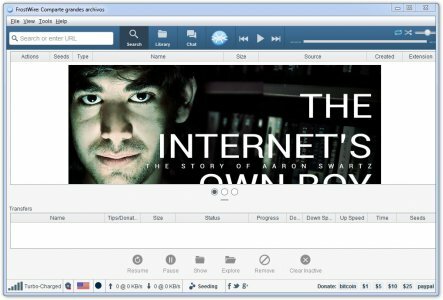 Using the most recent version of FrostWire allows users to enjoy the best program functionality. It is specially recommended for audio files, but you will be able to download any kind of files. 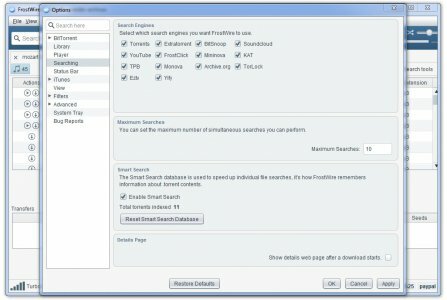 FrostWire does the heavy lifting for you – it searches multiple torrent indexes and presents the search results right inside the app, separated by file type, ready for one-click download. Furthermore, FrostWire is totally free and 100% clean, without any adware or spyware.